Discover comfort and convenience when you stay at Courtyard Bettendorf Quad Cities. With easy access to popular attractions including the TaxSlayer Center and River Center, our hotel ensures you're never far from the fun. From check-in to check-out, you'll love unwinding in our guest rooms with free Wi-Fi, luxury bedding and flat-panel TVs with premium cable channels. Start your day with breakfast and a Starbucks drink at The Bistro, then return at night for dinner and an evening cocktail. Grab an on-the-go snack from our Market, offering 24-hour service with a variety of food and beverage choices. 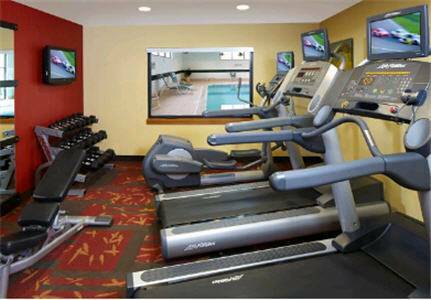 In-between meetings and events, spend time in our indoor pool area or well-equipped fitness center with free weights and cardio machines. Reserve our meeting space for corporate or social events and enjoy specialized services, free Wi-Fi access and various room setups. Whether heading to Iowa for business or leisure, Courtyard Bettendorf Quad Cities is dedicated to meeting your unique travel needs.